Police ban demonstration after protestors call to 'smash the Jews' on Twitter. 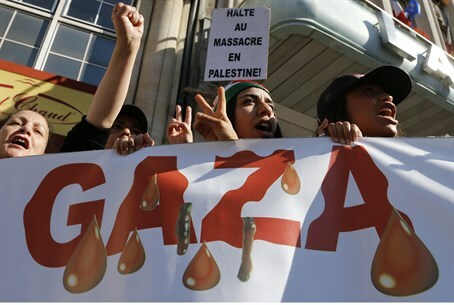 Paris police have banned pro-Palestinian activists from demonstrating this Saturday night, an official told AFP Wednesday, after violent protestors blockaded French Jews in a local synagogue and attacked them earlier this week. Saturday night's protest was planned for the Barbas–Rochechouart metro station near the northern Gare du Nord train station, the official said. However, Paris police oppose the demonstration, citing “serious risks to public order” in “a context of elevated tension," according to news broadcaster RTL. Protestors have already taken to Twitter, they said, with the intent to "smash the Jews" in Saturday's protest.